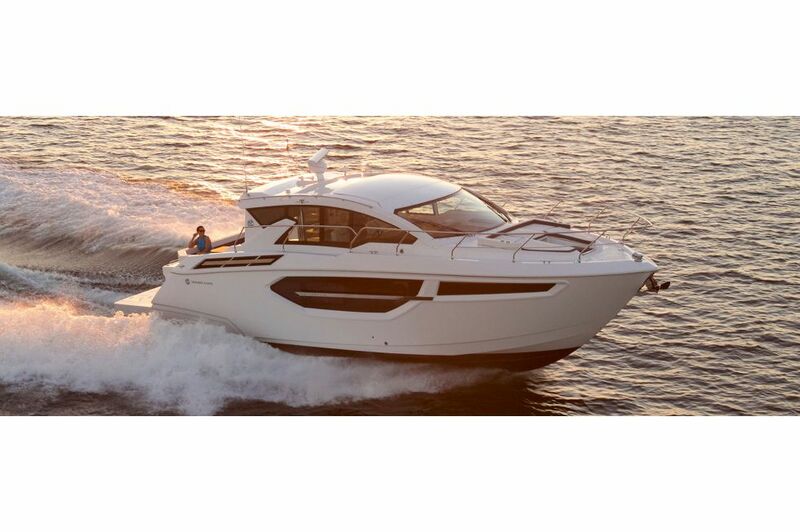 The 42 Cantius cockpit features wrap-around, convertible seating, a starboard side ice chest, two removable cockpit tables, and so much more. The Amtico flooring adds a final touch of refined style. 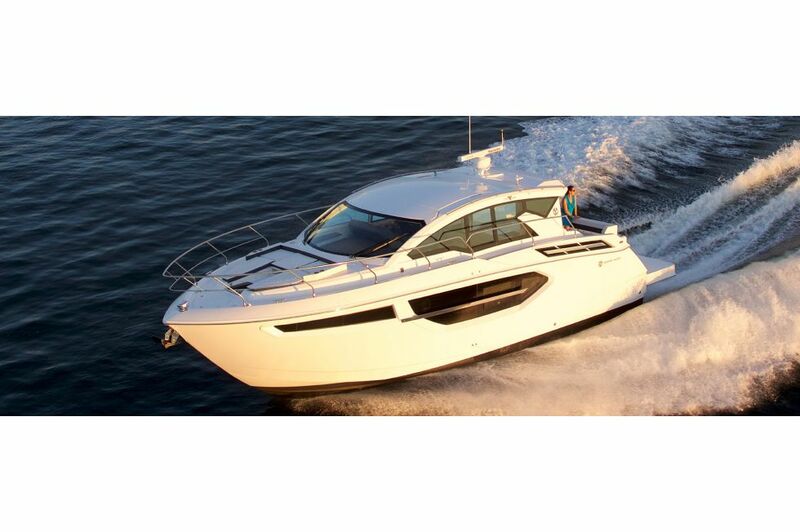 Customize your Cantius with a grill, refrigerator, and stools to personalize your cruise. 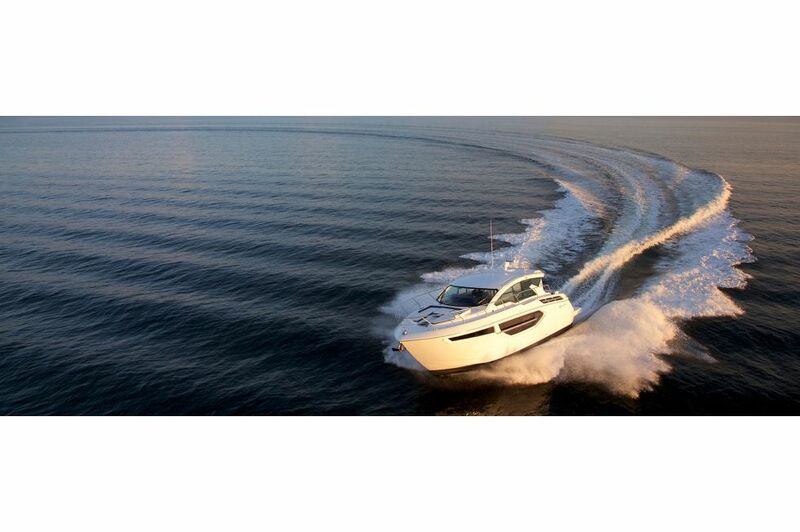 Command your 42 Cantius with a revolutionary helm. 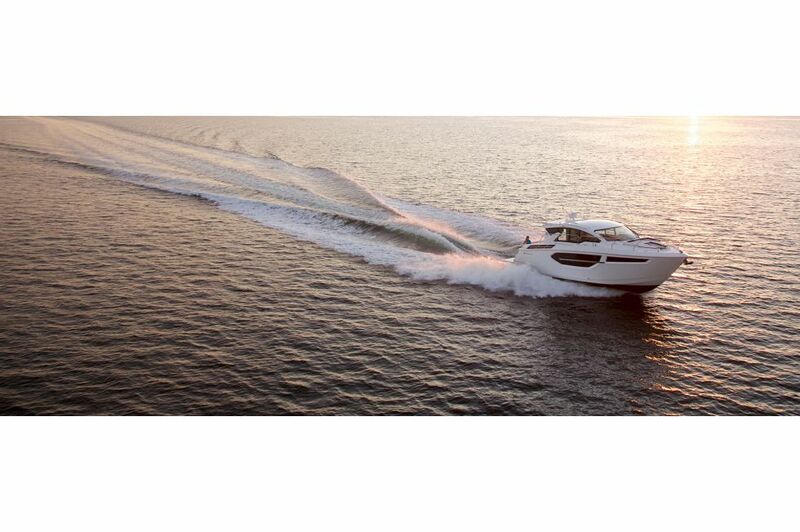 Cruise with advanced technology, carefully engineered controls, and a smart layout. 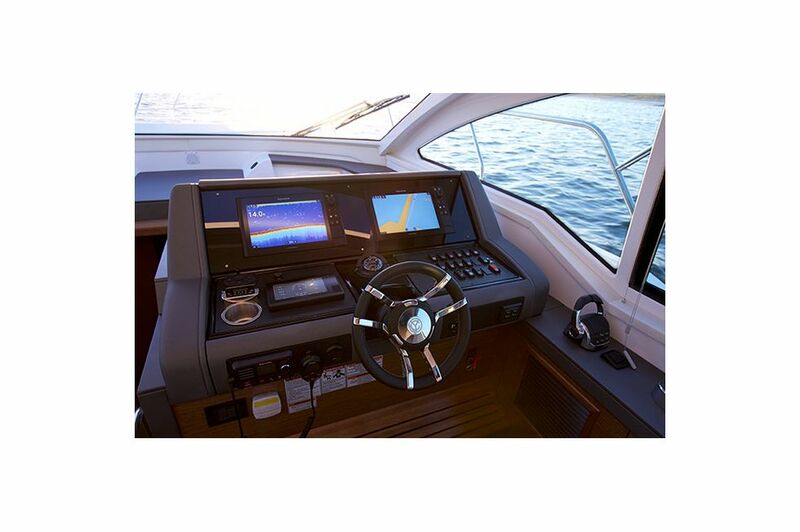 Control your stereo, air conditioning and heating, twin Volvo Diesel engines, and everything else onboard. The Upper Salon is your central hub. 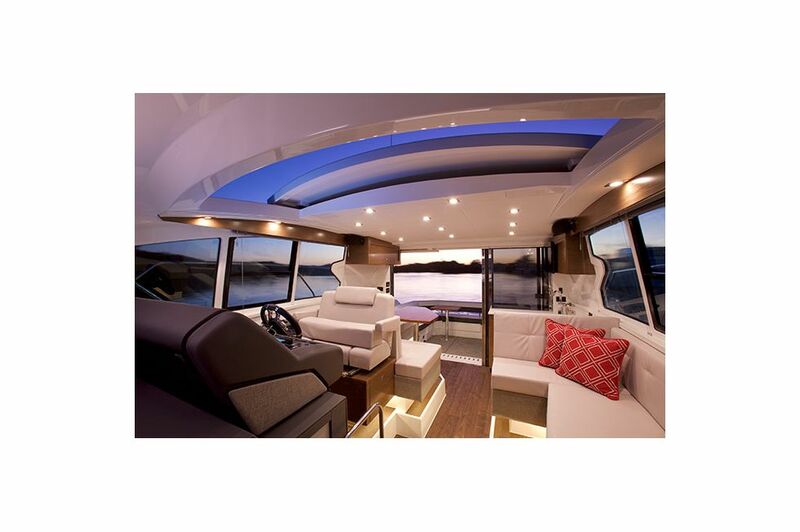 Large windows and the retractable sunroof let you breathe in the sea air and enjoy the views from the comfort of the interior couch. 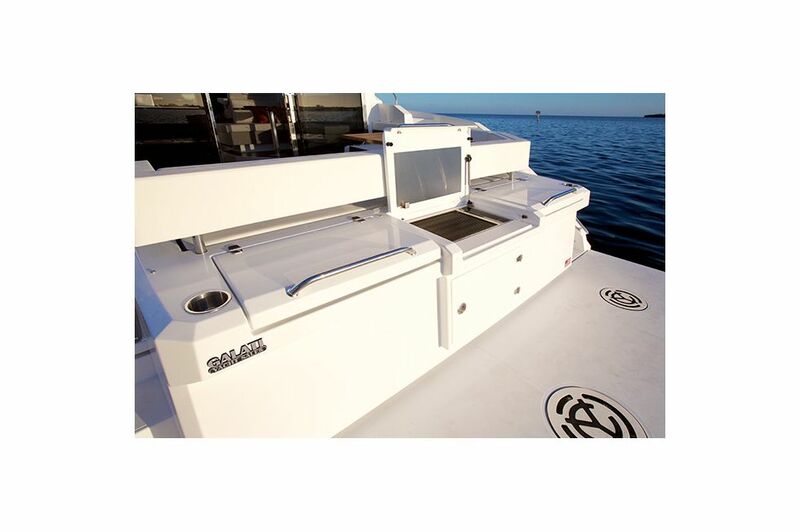 The open-concept design provides simple access to the helm, galley, and dinette seating. Prep a lavish spread in the smartly designed galley. 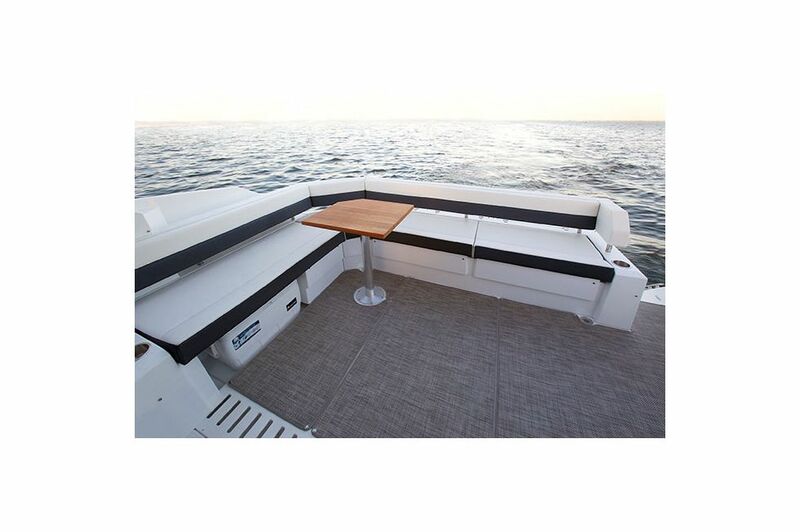 Its clean lines and open air design provides an effortless entertainment area. 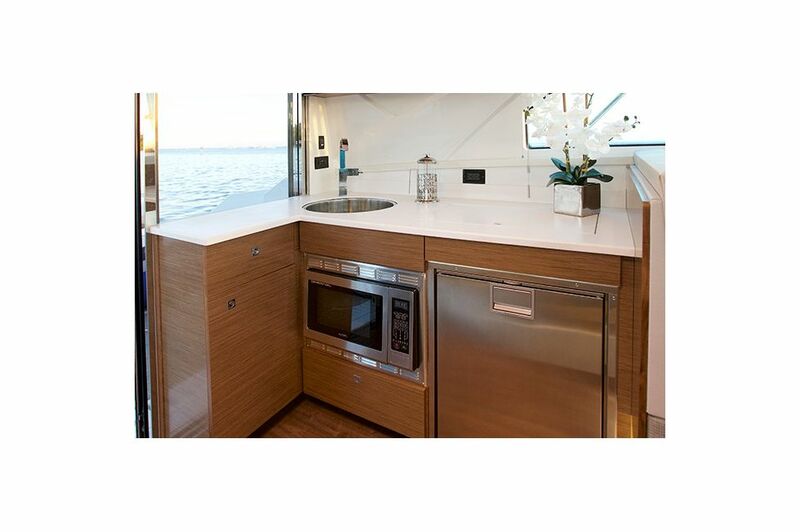 Enjoy ample storage, a microwave/convection oven, sink with spray faucet, 32" flat screen TV, and refrigerator/freezer. 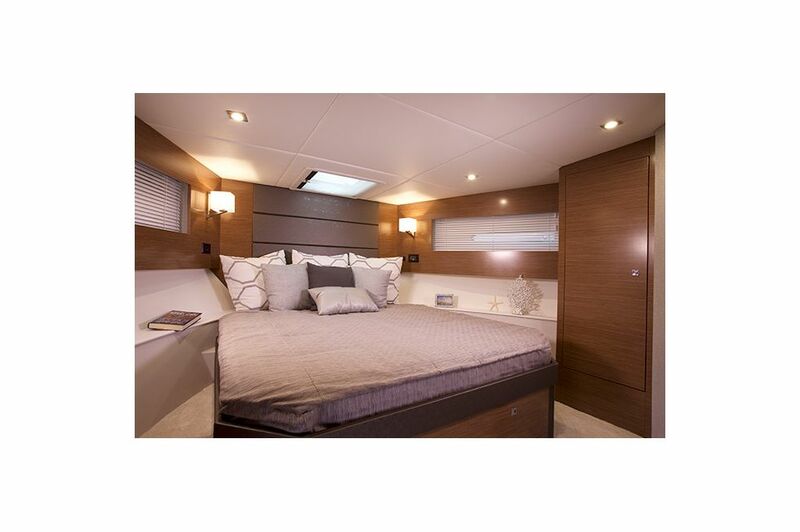 Invite your guests to stay overnight in the luxurious private Master Stateroom. 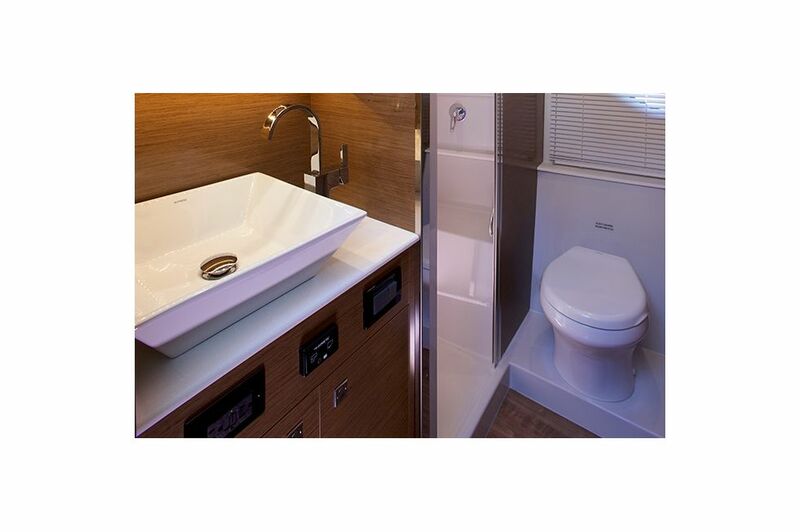 They'll love the plush queen berth, cedar-lined closets, iPod port with remote, and private head. Your VIP Stateroom is waiting for you. 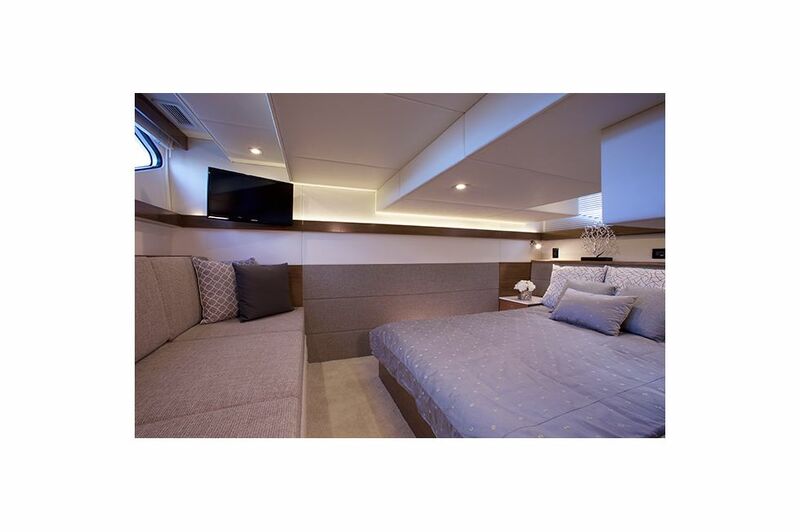 Providing a spacious haven at the end of the day, the VIP Stateroom features a mounted flat screen TV, comfortable couch, large, sunny window, and vast king-sized bed. 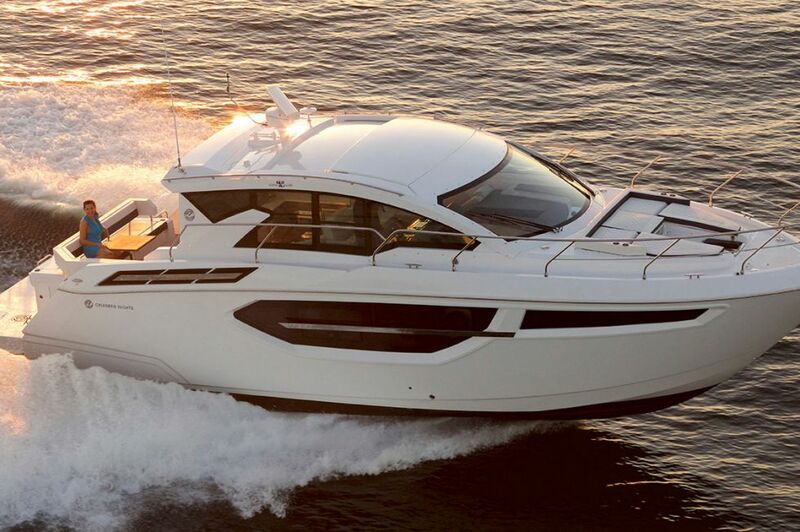 Everyone onboard will enjoy the spacious head. Shower in the sleek, contemporary stall and get ready for the on-deck party with all the products you need, conveniently stored in the above and below-vanity storage. 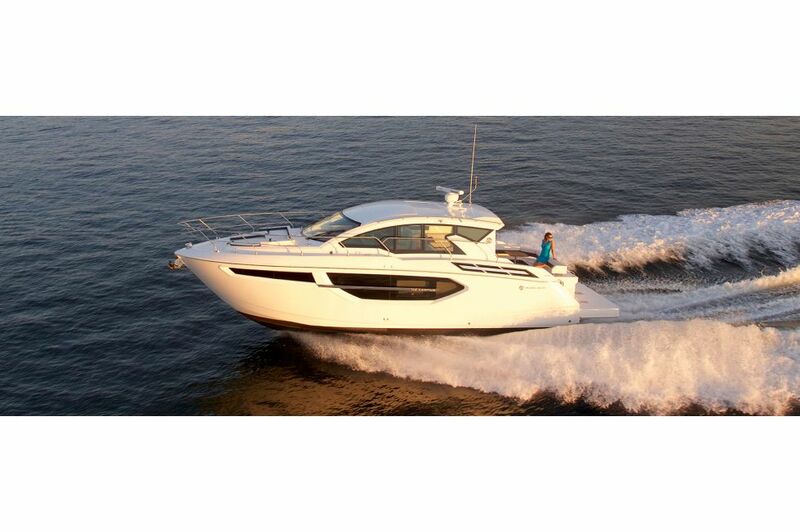 The best seat onboard, kick up your feet and relax on the bow lounge with your closest friend. 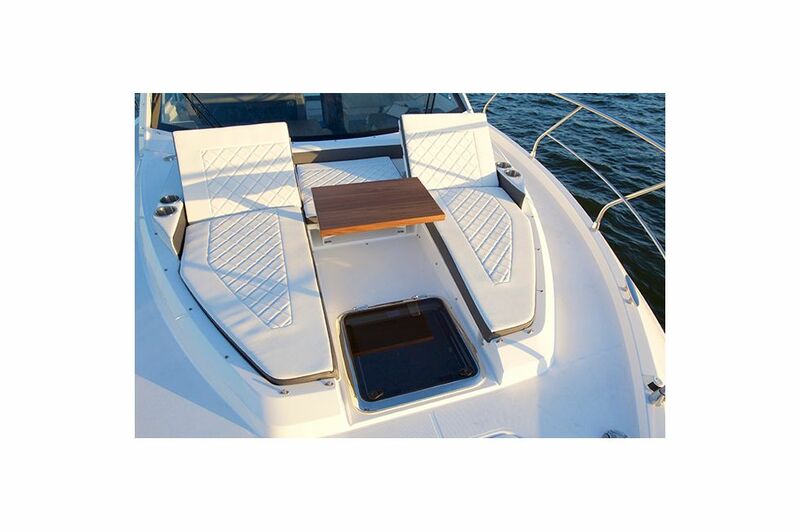 Enjoy refreshments and snacks as you soak up the sun with convenient cup holders and a refined wood table. Cook up a tantalizing barbecue on the outdoor grill. Easily flip up the lid to get cooking and grill with the finest stainless steel features.